“Half the money I spend on advertising is wasted; the trouble is, I don’t know which half.” This quote is woven into advertising lore and likely attributable to John Wanamaker who lived from 1838 to 1922. He is credited as a marketing pioneer that developed some of the earliest American department stores. His 16-store chain, called John Wanamaker Department Store (or Wanamaker’s for short), eventually became part of Macy’s. While traditional Media gradually built up more and more reporting tools and indexes, the real leap came with the advent of the Internet and the Web as a venue and channel to targeted advertising. So, let’s go back in time to one of the early days of Media Genesis – back in the late 1990s. At that time, many organizations didn’t know how they felt about this budding media. It was disruptive, uncomfortable for traditional marketers, and full of promise. We were approached to do a campaign for SmithKline Beecham for one of their flag ship products: Oxy Balance zit cream. And nothing screams zit cream like ‘N Sync. A national campaign was underway. 50 major markets, billboards, radio, sponsored content, the works. The big prize? Redeem UPC codes of Oxy Balance on the MG-built website to win a sound check with none other than ‘N Sync. The tag line: “Face the Music” was stamped on the campaign and it went live with a boom. First step, a large AOL media buy which sent our server room in a rave-like frenzy – with every server light blinking at a mad drum and bass rhythm. AOL had decided to serve up all the impressions in the span of a couple of hours, sending our pagers and IT staff into a frenzy trying to keep up. But – and here is the interesting part – then the market media buys started, market by market. As the 50-city tour progressed and the radio pushed out the contest, we began to track the impact of the campaign. The website performed diligently, tracking redemptions of universal product codes (UPCs). But the true value was that it gave us real statistics on the actual impact of each market and did so in a way we could compare the money spent and greenlighting of radio spots with the corresponding traffic. It became an incredibly comprehensive report on the effectiveness of each media channel in each market. Compare that with costs and you instantly had a viable way to measure effectiveness across the whole U.S. This of course is child’s (well teenager, anyway) play nowadays. Indeed, we leave behind such an information trail that we produce 1.7MB of data EVERY SECOND for EVERY PERSON on earth! To humanize that – that’s about 250,000 plain text words or more per second per person. It’s just staggering. It’s also heaven for data hounds and shrewd marketers; we know where people are, how long they lingered there, what they said, and more or less what they thought – maybe even before they realized it for themselves. Behavior trending is one such example. This new wealth of data is both empowering and scary. Create a Dashboard. Identify the metrics that matter to you to help visualize your marketing and sales funnel. Begin correlating conversions and positive engagements to your marketing and sales activities. Quickly identify what is working and what is underperforming. Visually see the steps a user takes to move into and through the funnel. A dashboard can help you benchmark your data, watch for trends, and even help you provide attribution for your traditional marketing. “One Metric That Matters” – coined by Neil Patel, this concept takes the above and, instead, has marketers focus on one metric (the one that matters the most) and working from there. Hub and Spoke. Consider making your digital reporting at the core of reporting for all marketing. Much like the example above with Oxy Balance – there is a way to measure many offline activities using the web. Connecting your PR and Advertising with your digital is invaluable and creates a force multiplier for all parties involved. Enable Tracking. Many marketers are grossly under-utilizing free and powerful tools. Sure, Google Analytics may be on your website but connecting with Google Search Console, Google My Business, Google Ads and Google Tag Manager can take it even further. The more data you can collect on your users and tie to conversions, user behaviors, and social media insights about audiences, the more informed marketing programs you will be able to activate. There are also so many incredible third-party tools to allow for powerful CRM integration (Salesforce, HubSpot, Microsoft Dynamics, Eloqua, Tableau). Quantify It. More than ever before, you can quantify the impact. With a bit of elbow grease and measurement – cost of acquisition, lifetime customer value, etc. – you can actually start creating real financial key performance indicators (KPI). 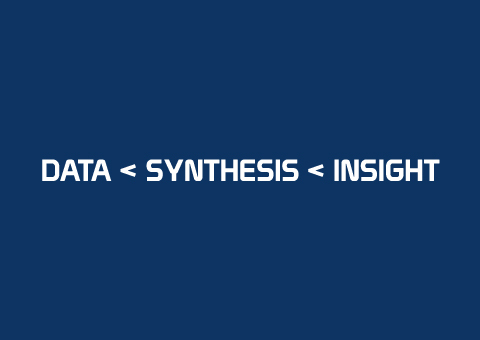 Data, Compounded by Synthesis and Analysis leads to Insights. It’s easy to get lost in the data layer and miss the key metrics (for example, identifying metrics that together can define engagement). Media Genesis can help you turn the collected data into the actionable insights that help drive your business. Call us at (248) 687-7888 or send us an email at inquiry@mediag.com to learn more about how we can help you gather and transform your website data into a powerful marketing resource.